“Do you see over yonder, friend Sancho, 30 or 40 hulking giants? I intend to do battle with them and slay them,” effuses Cervantes’ Don Quixote de La Mancha. It was enough to make even the most supportive of friends throw a withering look, perhaps silently questioning their friend’s sanity. But perhaps Sancho knew Don Quixote lived in a world of his own. As I journeyed across the Spanish region of Castilla-La Mancha from historic Almagro, to the wilds of Tablas de Daimiel, then the graceful, gastronomic delight of Toledo, I realised it really wasn’t a bad world at all. 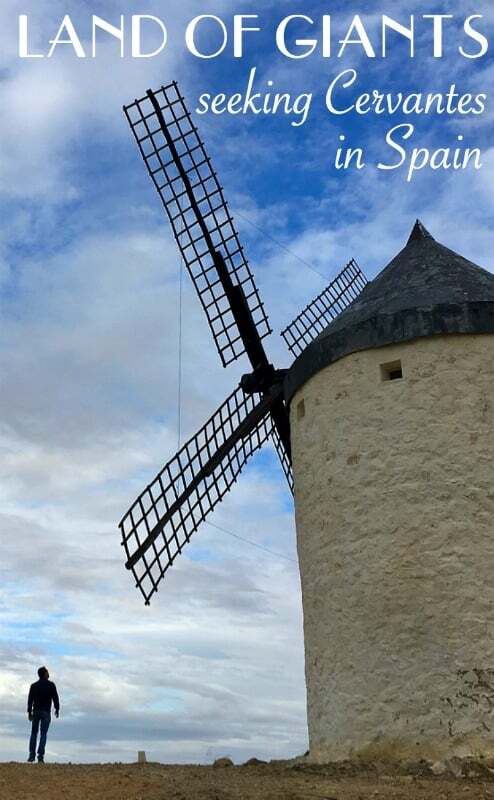 The Ingenious Gentleman Don Quixote of La Mancha is widely considered the world’s first novel, and was written by Miguel de Cervantes Saveedra. More commonly known as Cervantes, the author who was a contemporary of William Shakespeare, died 400-years-ago this year. As the region celebrates his life, it’s a perfect time to explore his homeland, his life and his work of fiction. What’s best though is it’s a journey that will take you to one of Spain’s lesser-known regions. Castilla-La Mancha will never attract more visitors than beachy Andalucia, it will never compete with the likes of Barcelona or capital Madrid. But there lies the magic of the world’s underexplored places. In being lesser-known, in seeing fewer visitors, Castilla-La Mancha has managed to retain all its culture and intrigue. Castilla-La Mancha is a region of flat, dusty plains, that visitors to Spain mostly see from the window of high-speed trains that rush from the busy boulevards of Madrid to the sunshine coasts of the south. 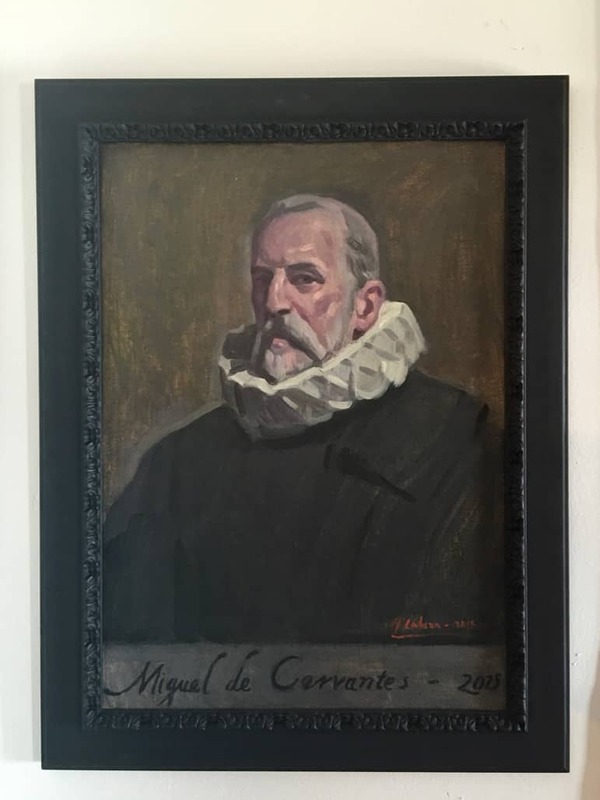 Ironically, it was in Madrid, about an hour north of Castilla-La Mancha, that I had my first encounter with Cervantes. 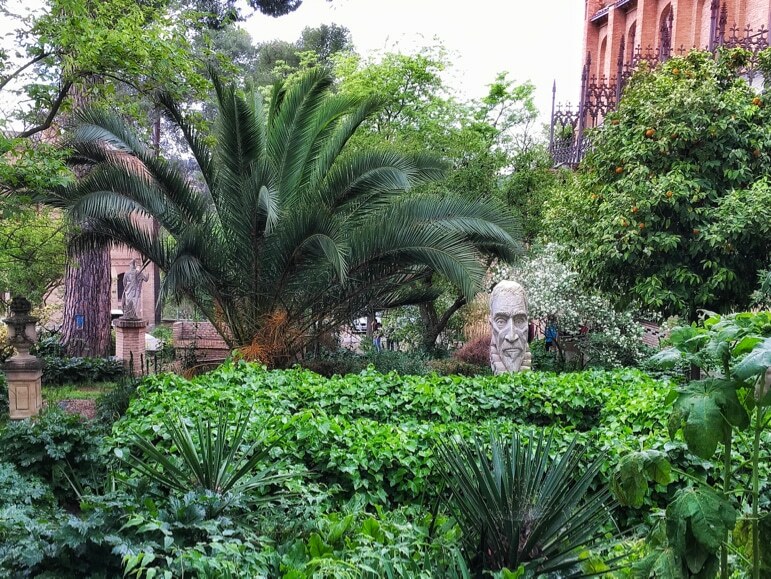 The region’s most famous son once lived in what is now considered Madrid’s literary quarter. But I knew there was much more to his story, and so much more to see in Castilla-La Mancha than you could from a speeding train. I started my journey of literary discovery in the town of Almagro. Though in truth, it is considered to be more a place for thespians than writers. 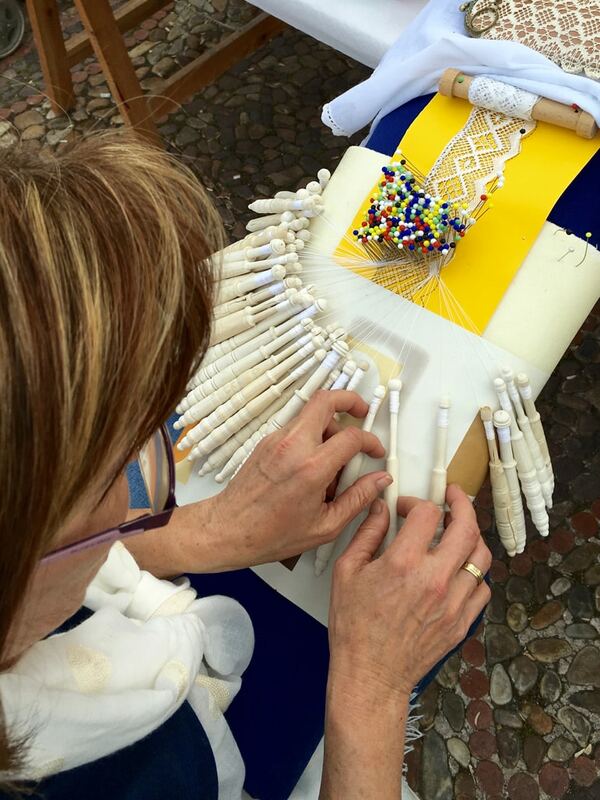 Lace-making ladies sitting in a circle were joined by the chatter of locals in the throng of Almagro’s main square, Plaza Mayor. It was there that I was able to see where Cervantes’ most famous work was first performed. Cervantes’ Don Quixote de La Mancha first took to the stage at the Corral de Comedias – the only 17th century theatre in Spain that retains its original structure. It was a popular place for people to watch plays of all kinds. But while the nobility and women would watch from the more pleasant upper circle, those in the cheap seats would have to mix with a number of farm animals that were kept there – and all the stench that came with them. But it remained hugely popular with people travelling from miles around for a night at the theatre. 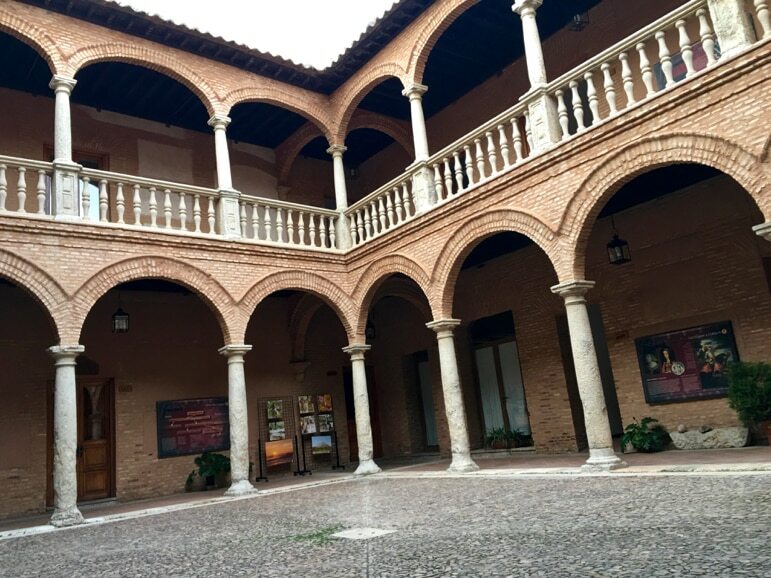 Today Almagro maintains this theatrical heritage at its Municipal Theatre, which each year runs at least one performance of Cervantes’ Don Quixote de La Mancha and a theatre festival. 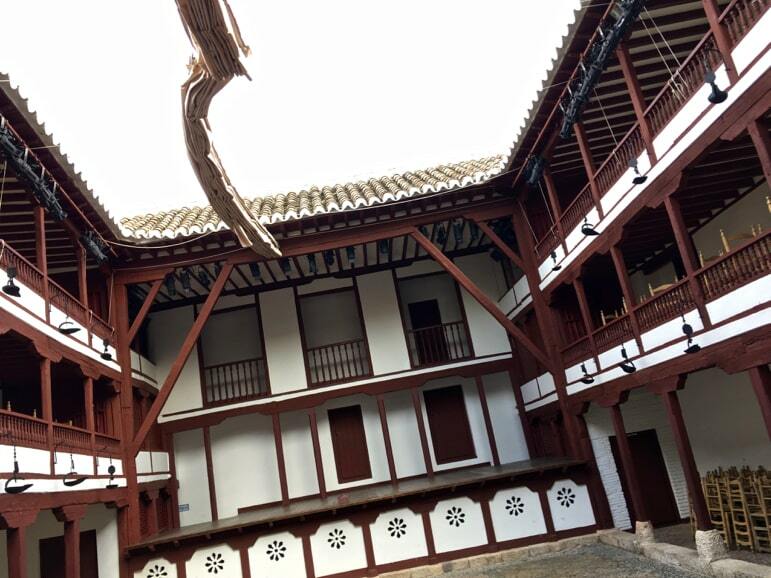 The Corral de Comedias though was only the second building in Almagro to have stolen my attention. 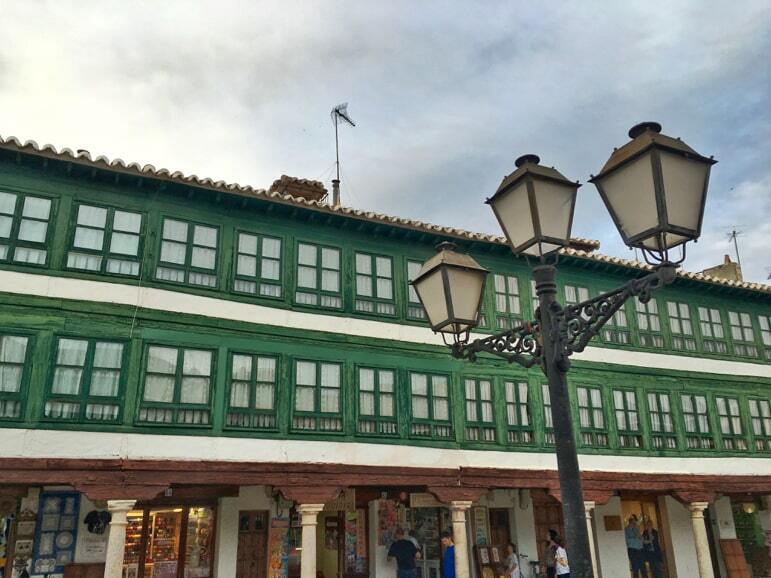 Plaza Mayor has two striking galleries of green wood and Tuscan stone. Formerly used as grandstands for festivals, religious events, and bullfights, they are a great place in which to breathe in the history of this town. 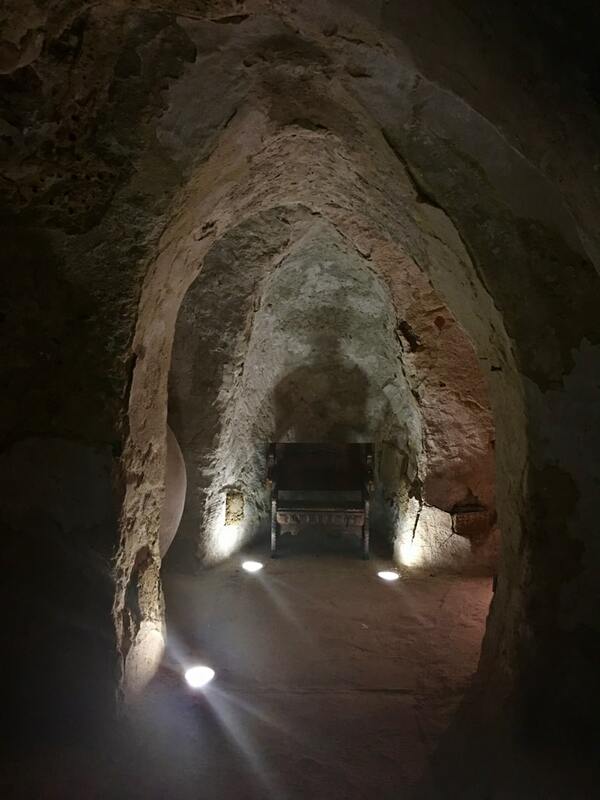 Other buildings worth a look are the arched Arabian patio of Casa-Palacio de Juan Xedler, and the Convent of the Assumption of Calatrava, but just a wander through Almagro will reveal lots of architectural highlights. The next day, I left the literary trail for the morning to indulge two other of the region’s treasures – nature and food. 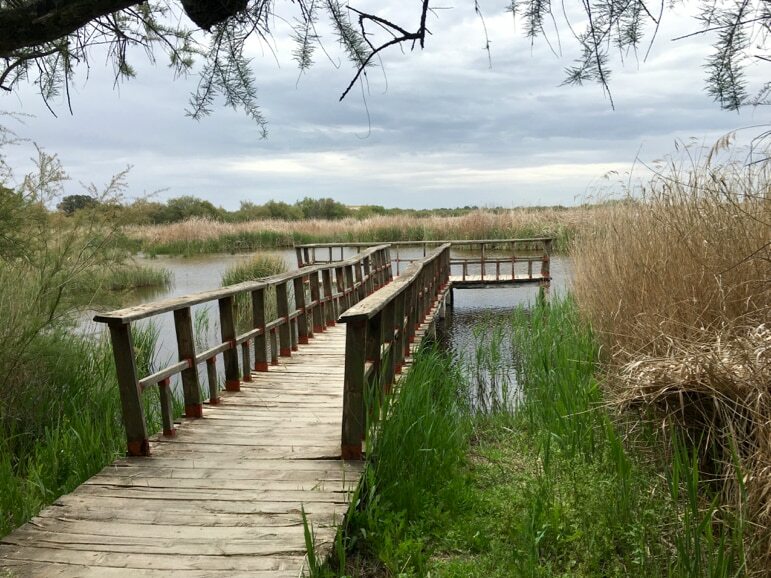 Tablas de Daimiel is a national park that has little to do with the story of Cervantes or Don Quixote, but is a beautiful place to spend some time. 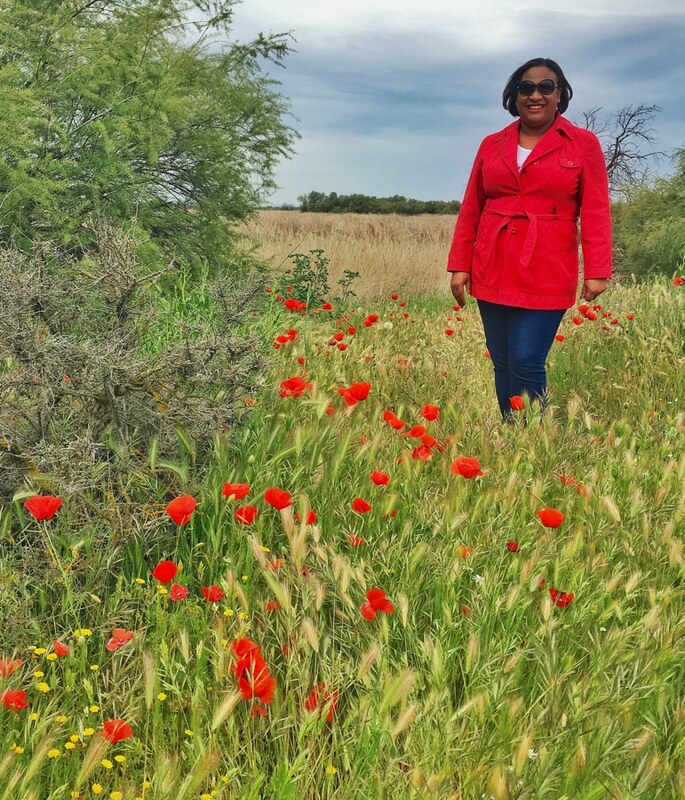 The day out in nature helped me to slow the pace and take time to soak up all that Castilla-La Mancha has to offer. This led me nicely to its food scene. 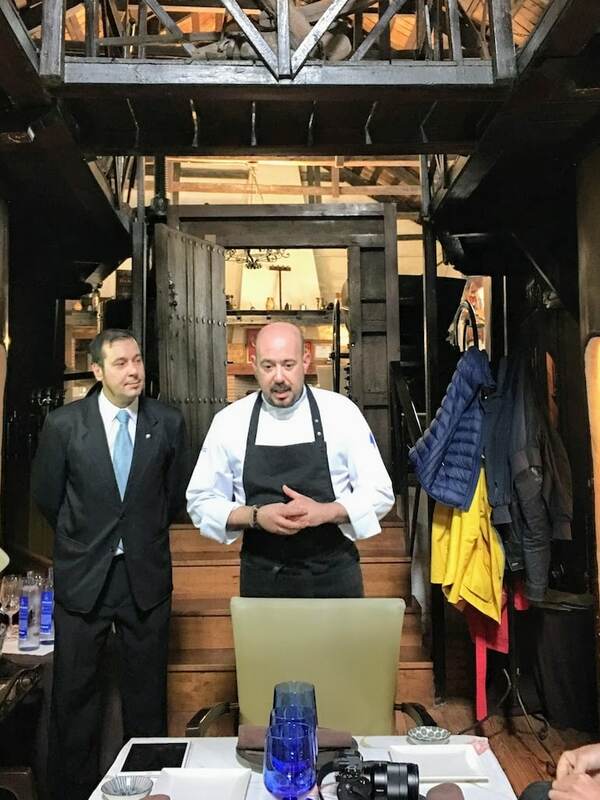 The tasty kitchens of the region’s capital, Toledo, have gained the city the acknowledgement of Spain’s Capital of Gastronomy this year. 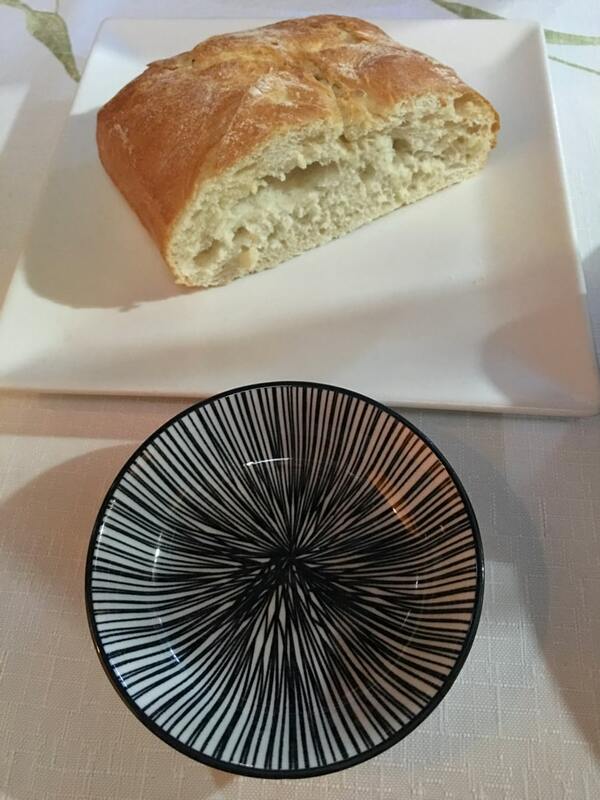 But even outside its mediaeval city walls, chefs are turning heads with recipes inspired by local tradition and made with the fruits of Castilla-La Mancha’s earth. 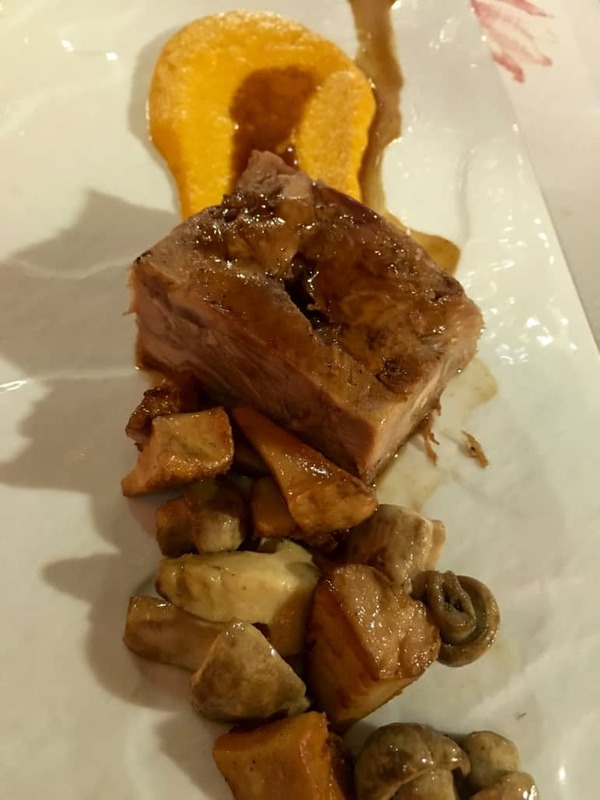 Just over an hour south, in the town of Daimiel at family-run restaurant Mesón el Bodegón I sampled not just tasty local food, but had a small wine tasting in their cellar. 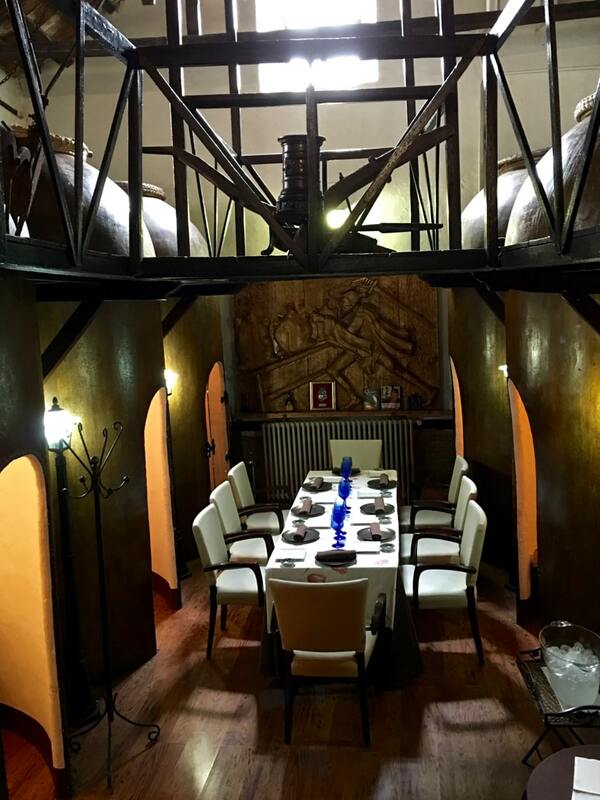 The restaurant was the family winery from 1795 to 1975 and they’ve even converted some of the huge, old wine vats into cosy nooks with tables for two. 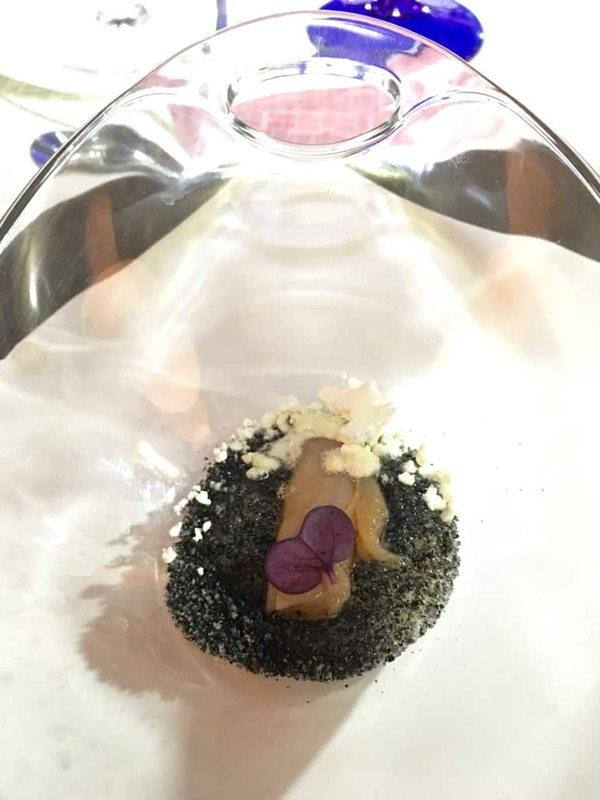 I feasted on modern dishes inspired by Manchegan classics all prepared by chef Rubén Sanchez-Camacho and his mother, Maria Infante, while the wine is served by Rubén’s brother, award-winning sommelier Ramón Sanchez-Camacho. 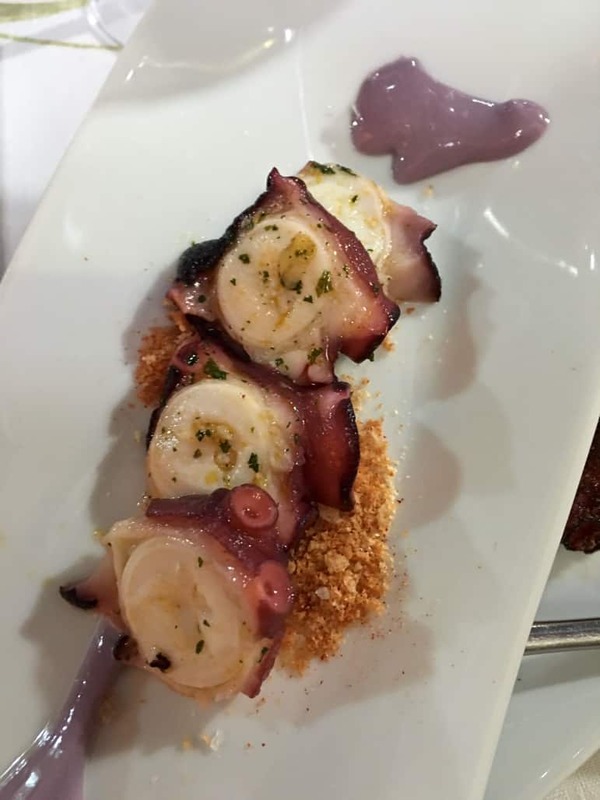 Highlights were foie olives with skins made from apple and sweet wine served with crumbly chorizo migas, tantalisingly tender octopus on a red wine mayonnaise, and one month old suckling lamb. 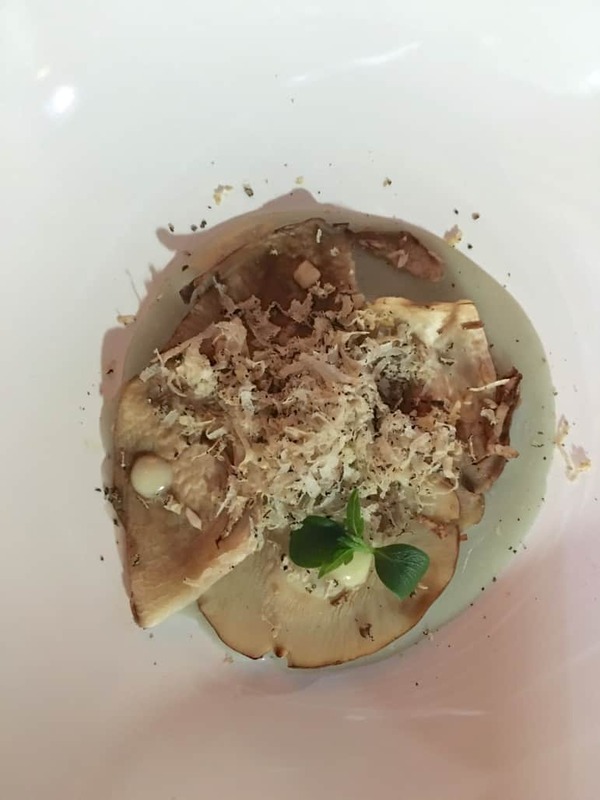 The restaurant’s tasting menu is €44, and an extra €20 to add a wine pairing for each course. 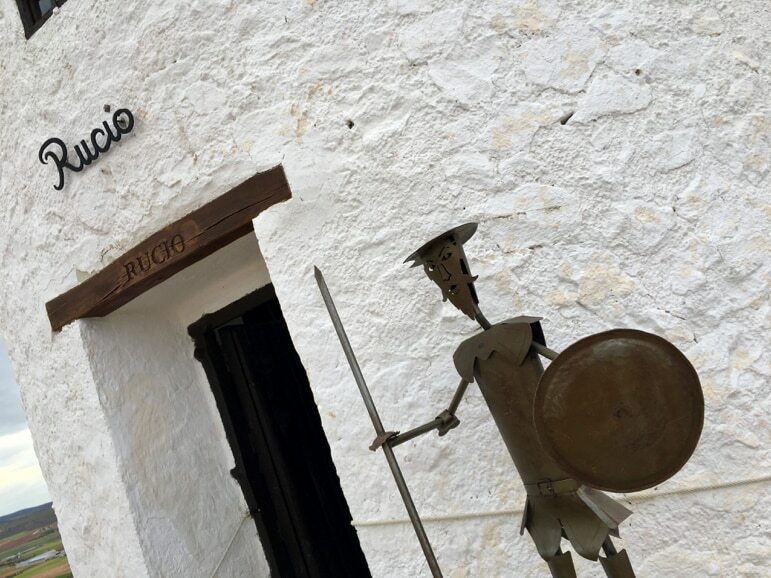 A short 45 minute drive away is Consuegra, a town where Cervantes’ story comes back into view. 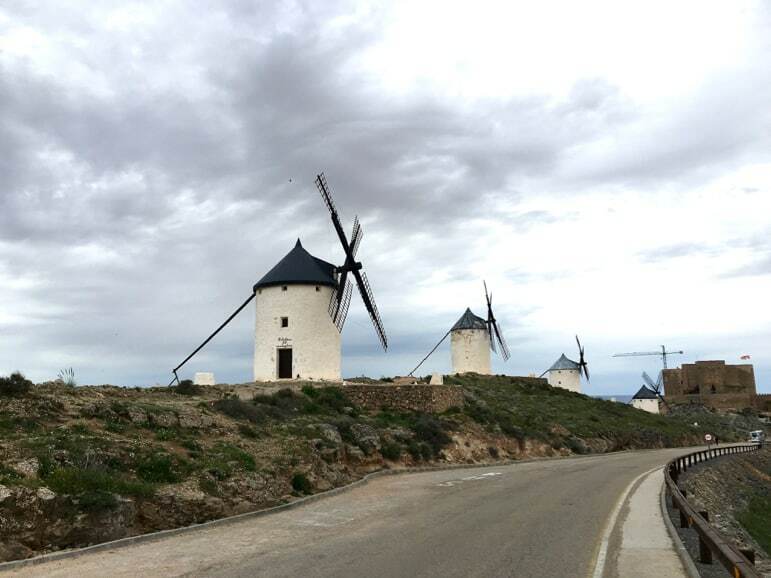 The area is famous for windmills, the very windmills that Don Quixote mistook for the giants he wanted to take on. 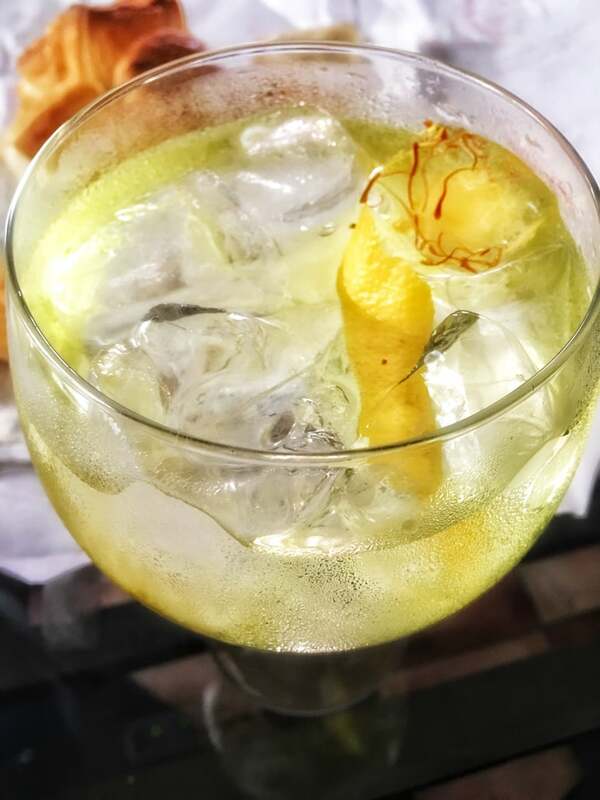 But the plains which they tower over are also home to the rich colour of saffron fields and at Cafe La Antigua, they serve Toledo 1085 gin and tonic with local saffron suspended in clinking ice cubes. It was a refreshing break before heading up the hillside to view the “giants” up close. 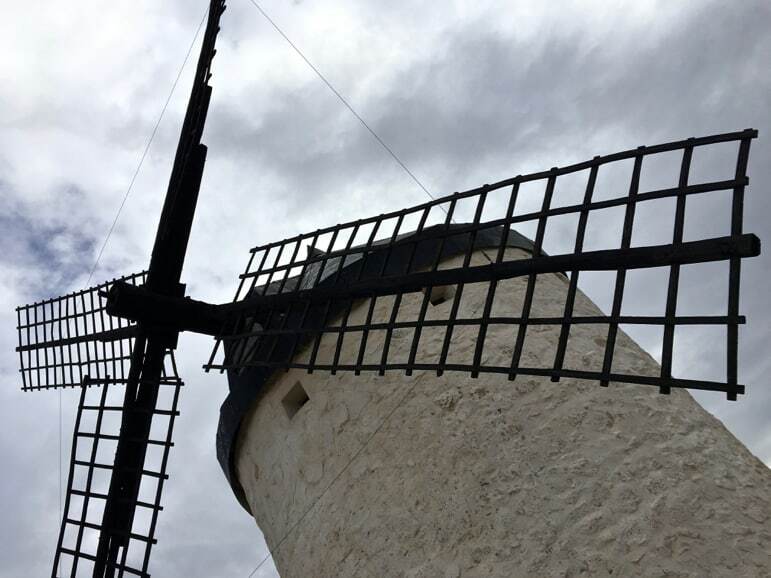 It also made me wonder if perhaps Cervantes had been partial to a saffron flavoured tipple himself while writing the novel – it may have explained some of Don Quixote’s windmill fantasies. The aged windmills are definitely giants of their time. 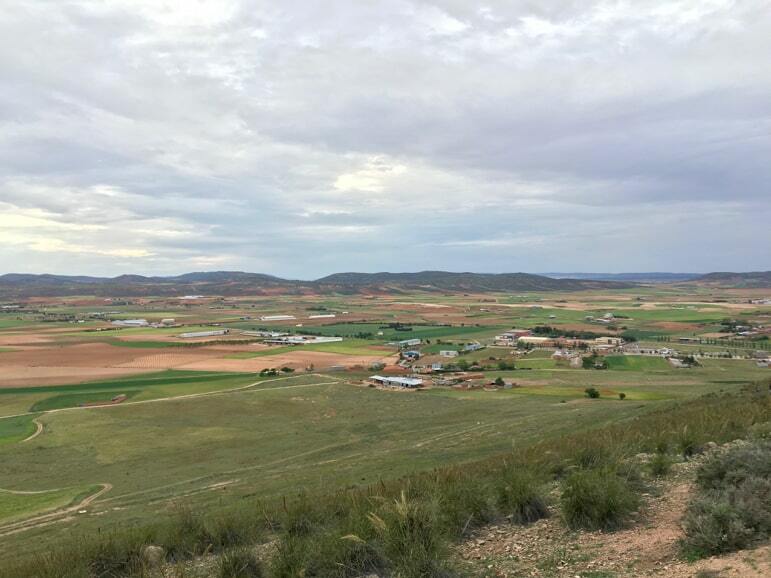 From their lofty hillside they tower over Consuegra’s windy plains. Up close, and from a 21st century perspective, they’re just quaint old mills. But they do have a certain literary romanticism to them, and their legendary status is relived each day by actors playing Don Quixote and Sancho Panza to amused school groups and passers by. Don Quixote is of course just Cervantes’ creation. 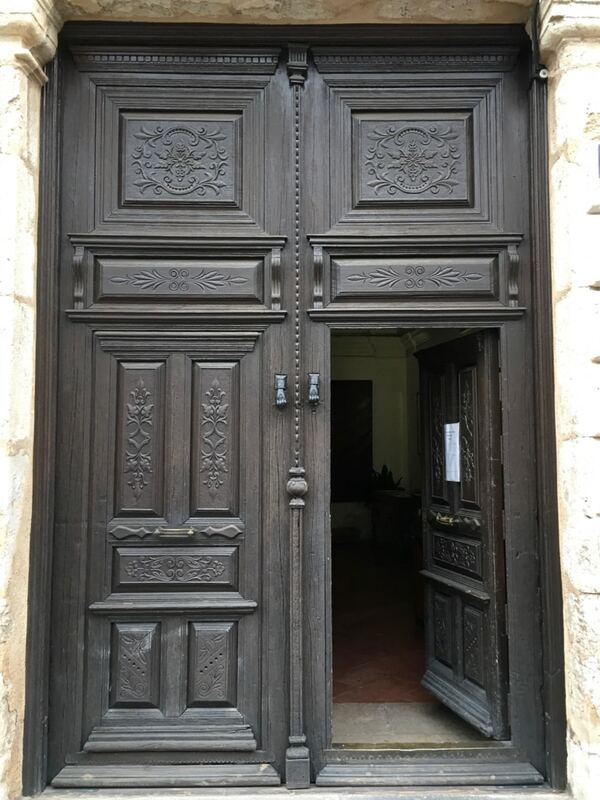 And to really unlock the secrets of the man behind the character you need to go to his home town of Esquivias, less than an hour’s drive south of Madrid. 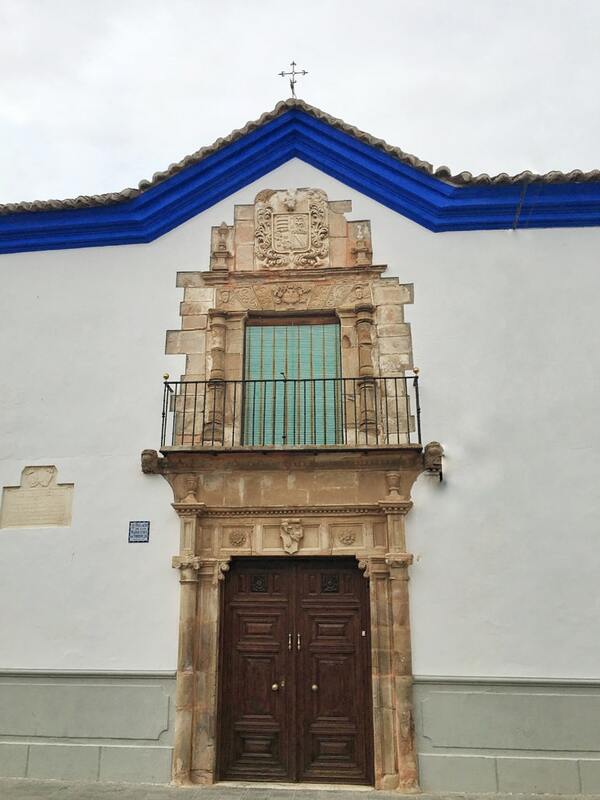 It would be an unremarkable town were it not for the house where Cervantes spent much of his life, but this makes it worthy of your time, as it now doubles as a museum. Cervantes, like many artists, was not considered wealthy – he didn’t make much money from the two installments of Don Quixote (published in 1605 and 1615), and he had to till the land to survive. 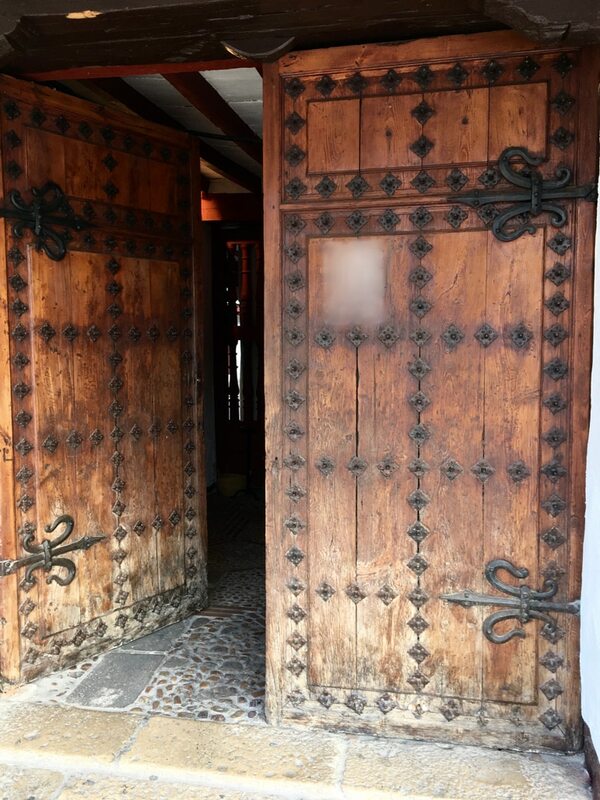 His house is full of the tools he used, as well as a wine cellar where the ghost of Don Quixote lingers. 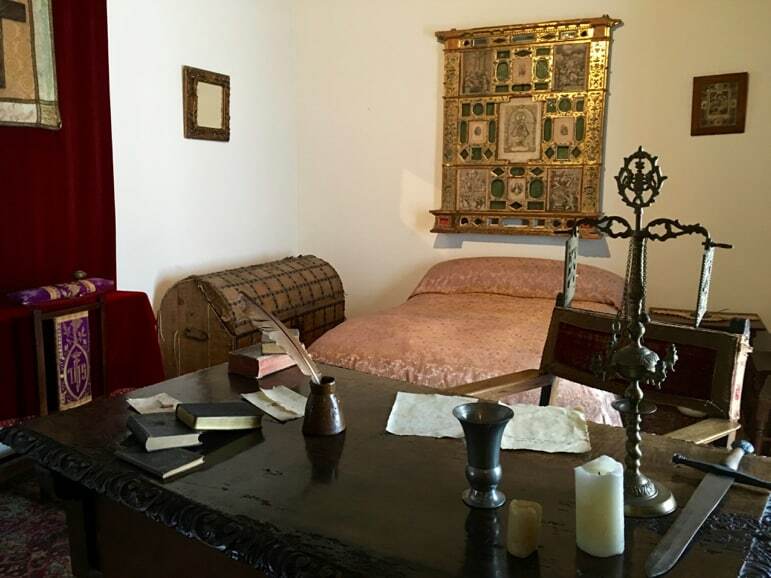 The house in Esquivas not only gives insight into the life of the 16th century writer, and the people he associated with such as William Shakespeare, but to what life was like for gentlemen of the time. These are just some of the the locations in Castilla-La Mancha that are celebrating the work of Cervantes. 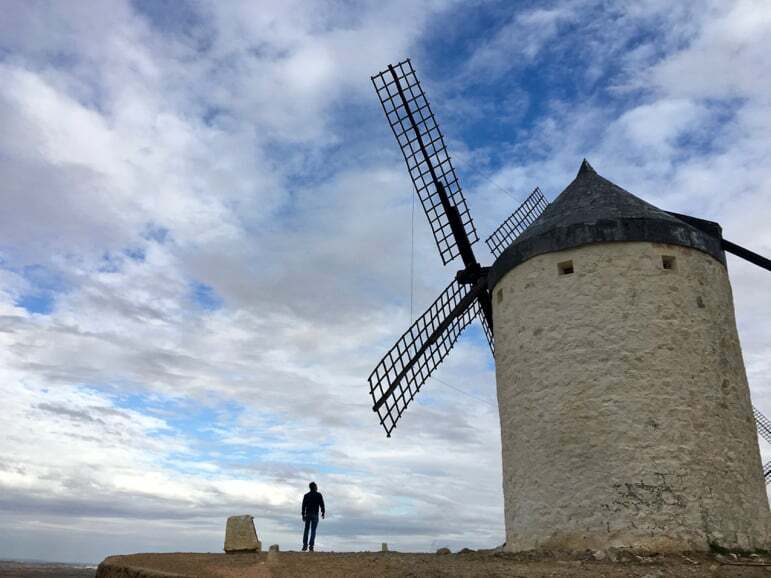 You can discover more of the landscapes that inspired Cervantes’ Don Quixote de La Mancha within the medieval wonder of the city of Toledo, and towns such as Argamasilla de Alba, Campo de Criptana, Alcazar de San Juan, and many more in the region. A charming town deserves a charming boutique hotel and Hotel Casa del Rector, in Almagro, is every inch of that. Combining three architectural styles – modern, design and traditional – it offers something for everyone including a lovely patio-style lobby with plenty of period features. My recommendation – go for a deluxe double superior design room, which come with stylish, clean lines and sunken whirlpool baths, or a cosy deluxe double superior traditional room with a four poster bed to whisk you back in time. 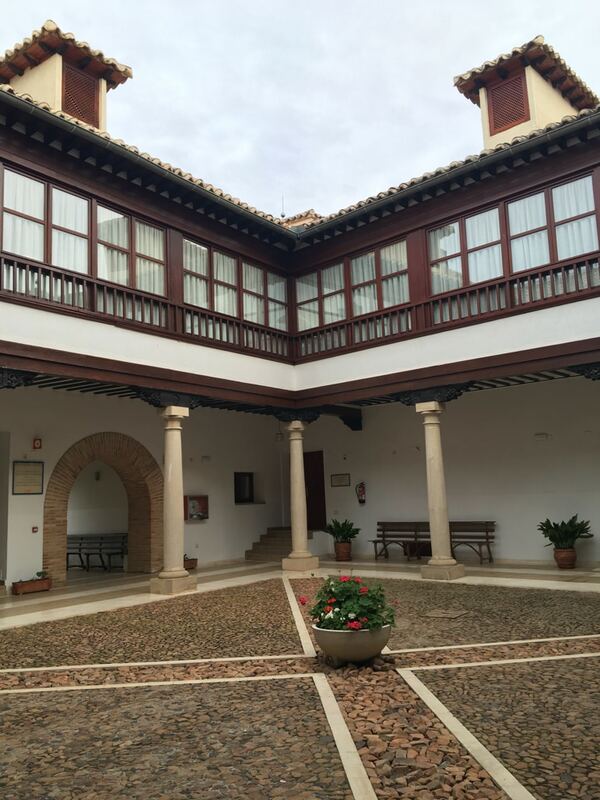 The town also has a parador – characterful, state run hotels usually in historic buildings. 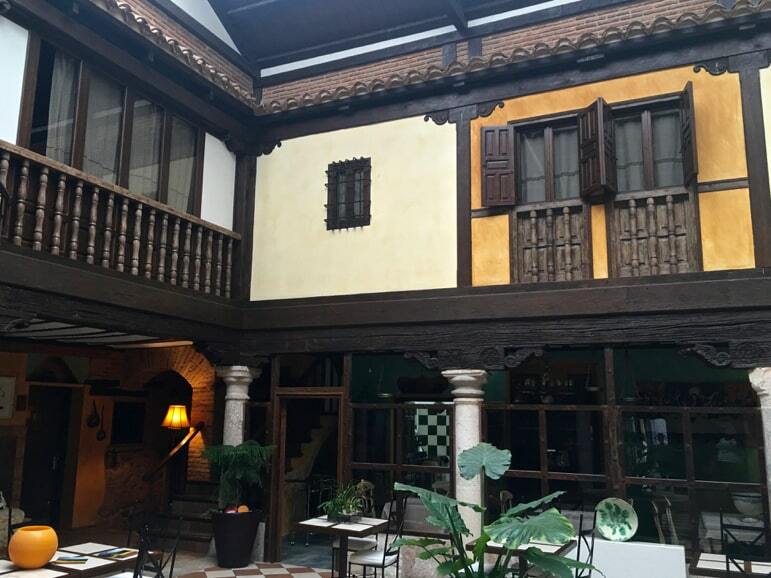 Parador de Almagro is housed in a monastery dating from the 16th century and has a swimming pool, interior courtyards and beautiful woodwork. Its restaurant serves up a traditional taste of Castilla-La Mancha.